Your home is the place where you spend the majority of your time, making space your own and creating lasting memories that will stick with you for a lifetime. So, if your humble abode leaves you feeling dissatisfied, it may well be time to consider an update. From brand new staircase parts to different furniture and original design ideas, there are numerous ways in which you can go about providing a much-needed update to your home. After all, your home is yours to decorate as you wish, so it is important to make sure that you are happy with your environment. Your home is your safe space, your personal haven where you can relax and escape the hustle and bustle of everyday life. When you think about how much your house does for you, isn’t it about time that you went the extra mile and gave back to your home? Treasured memories and lasting reminders of good times – all of these can contribute towards making your house become a home for you and your family. If you really want to help your home stay looking its best for the long haul, it is important to factor in regular maintenance and upkeep. After all, the last thing you want is for your home to end up looking old-fashioned and shabby – it should be a visual representation of your personality, so be sure to show it some love to keep everything ticking over. Your office may well have to be relatively plain and personality-free, but there is no reason for your home to follow suit. You are free to decorate your home in whatever way you want – whether you prefer subtle minimalism or bright, bold colours and statement prints, whatever you choose, it is sure to be the perfect reflection of your personality. If you are struggling to add character, why not try some cushions, rugs, ornaments or framed paintings and photographs to adorn the walls? Sometimes, a few small touches or intimate details just won’t cut it. If particular rooms (or indeed, your whole property) are in need of some TLC, you may have to bite the bullet and consider investing in the long-term future of your home. 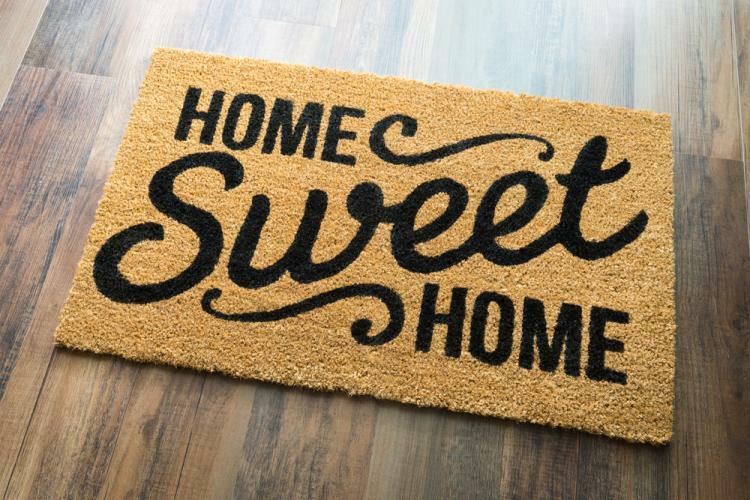 From a shiny new front door to different carpets, fresh kitchen cabinets or a state-of-the-art bathroom suite, there are plenty of ways to breathe a new lease of life into your home. When you are considering which areas need to be updated, it’s important to forget one vital aspect of the building – your staircase. Invest in a brand new staircase, or alternatively, improve your existing one with the addition of top-quality staircase parts. From handrails to newel posts and everything in between, good looking stairs have the ability to instantly transform the appearance of your entire home. For more information about Blueprint Joinery’s extensive range of staircase parts, please check out our website or get in touch with us today on 01691 671020.